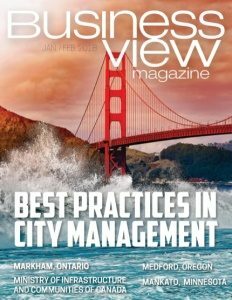 Business View Magazine interviews Peter Pantuso, President of the American Bus Association, as part of our focus on the transportation sector. 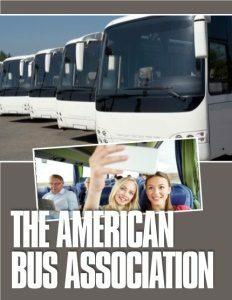 The American Bus Association (ABA) is the oldest, largest, and most respected voice in the motor coach, travel, and tourism industries. The organization was originally founded in 1926 as the Motor Bus Division of the American Automobile Association. It was reorganized in 1930 as the National Association of Motor Bus Operators, and in 1960, changed its name to National Association of Motor Bus Owners. It adopted its present name in 1977. Pantuso adds that, in the coming decade, another big change for the industry will be in the way people book tickets and plan their trips. “Everybody is moving toward that ‘Uber society’ if you will – you want it when you want it, where you want it,” he says. “And the motor coach and bus industry is going to have to respond to that in some fashion, as well. We see the shift in fewer people driving, more people moving into cities, and a younger generation saying ‘I don’t need a driver’s license,’ or, if they’re living in urban centers, saying, ‘I don’t need a car; but if I do need one, I’ll rent one by the hour.’ Those kinds of shifts in behavior are having an impact on our industry in a positive way, because the bus provides an extremely good option as compared to the plane or the train, if someone wants to go from New York to D.C., for example. Check out this handpicked feature on Making America Run By Robert C. Osborn – President of the Pipeline Contractors Association.